Very late in writing this. Sorry. Cannot praise the service highly enough. One phone call on Fri and.. 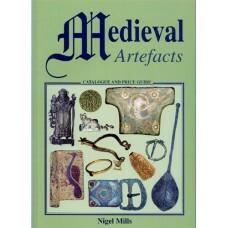 The period of medieval history covered by this book (1066-1500)by Nigel Mills (author of Celtic & Roman artefacts and Saxon & Viking Artefacts) is amply brought to life in the 300 plus colour photographs contained within its 111 pages. These cover a wide spectrum of everyday objects including buckles, brooches, rings, pilgrim badges, spoons, daggers, thimbles, weights, arrowheads, spurs, purses, seal matrices, and heraldic pendants, together with more usual items such as enamelled plaques from Limoges crucifixes. 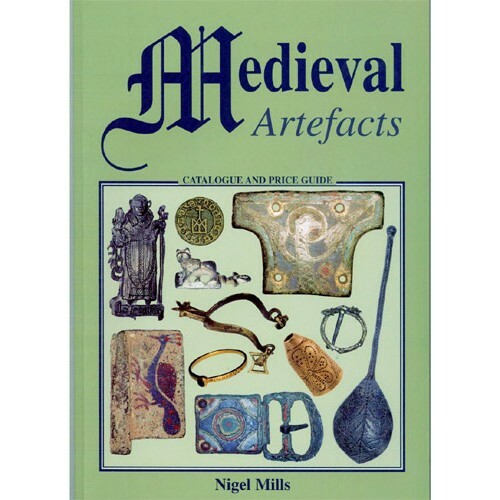 Each item is described and illustrated in chronogical sequence making the book an excellent reference work for collectors, dealers, museums, archaeologists, and metal detectorists. As an additional aid to collecting, Nigel Mills gives a valuation for each item in two grades of condition.